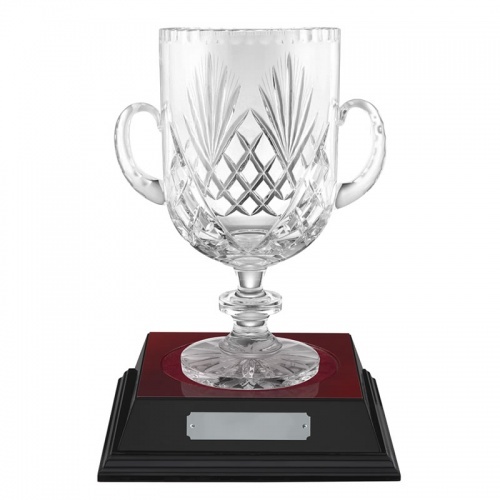 Superb 24% lead crystal loving cup with handcut decoration and a blank panel for engraving. 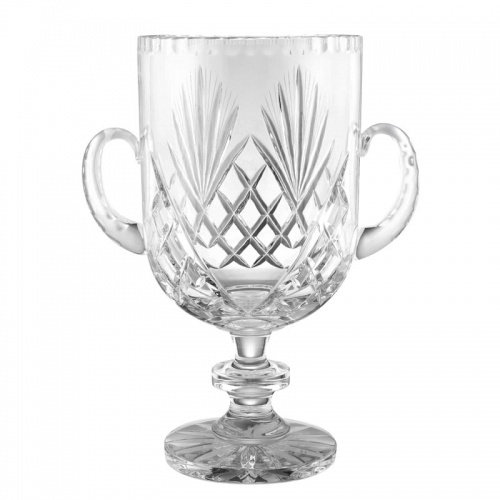 These loving cups include a faceted ball in the stem and a wide foot with star decoration to the base. 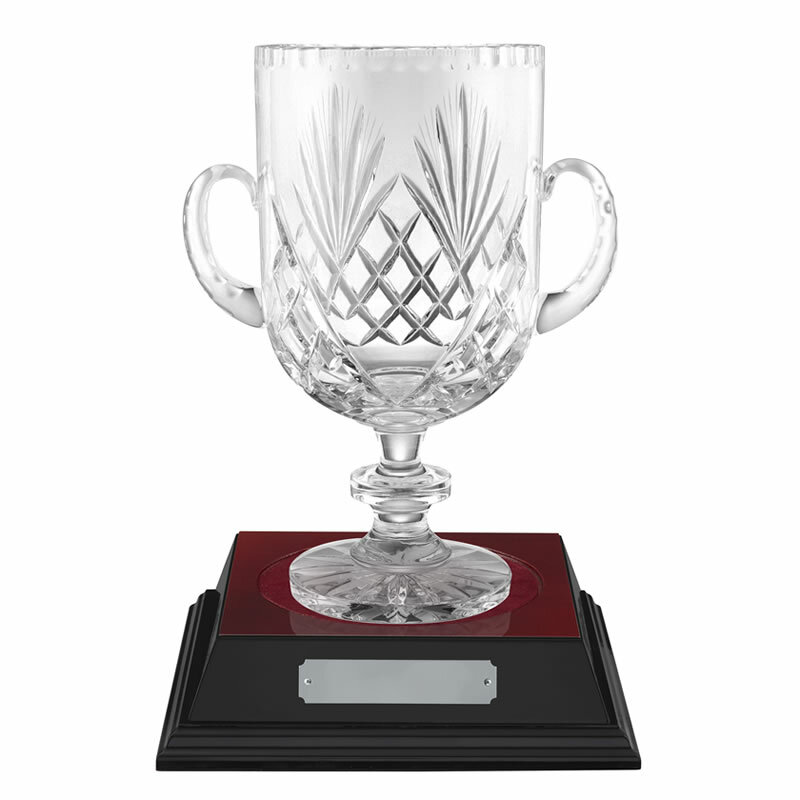 They are offered here with an optional two-tone recessed wood base with engraving plate, and can be engraved on both the crystal body and/or optional base plaque.